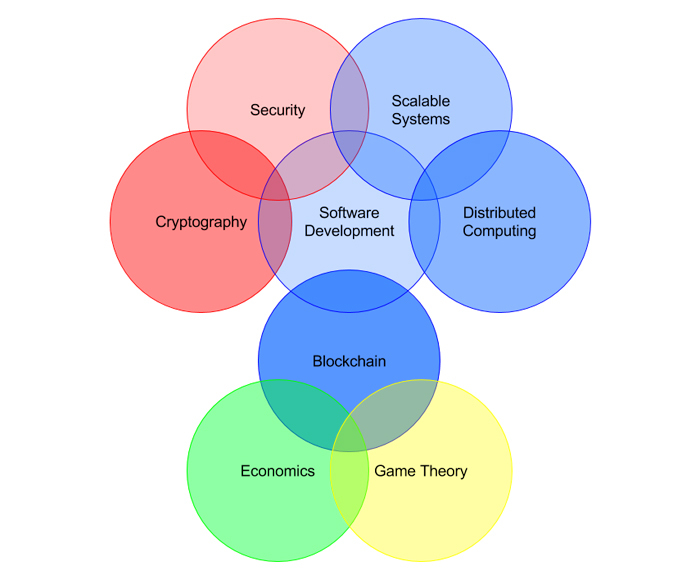 This is the first in my new Blockchain Spotlight series to focus on companies in the exploding blockchain environment (read my beginner's guide article as a primer) and describe their business to people that aren’t necessarily engulfed in the blockchain ecosystem. I’m really excited about Dragonchain, I’ve been watching it since it was released as open source late last year, and now they have made a big announcement so we can now find out what the Disney hybrid blockchain known as Dragonchain is about. 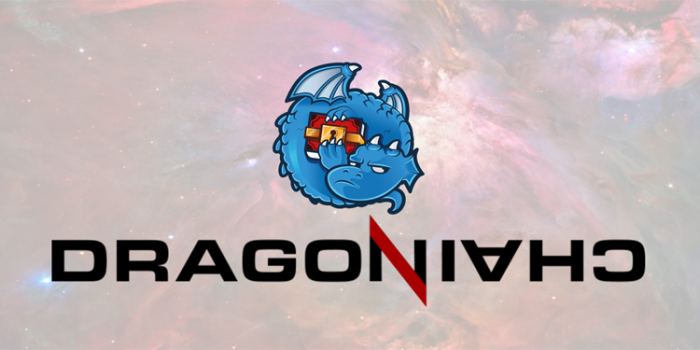 Dragonchain is taking a fresh and mature view to the idea of blockchains and smart contracts, and to my mind, has solved many of the issues associated with wide scale and generic deployment of blockchain based applications. For example, if you were holding a Homeowners Association election, you really don’t need that vote distributed across the entire Ethereum network as you have a high degree of trust and can deploy it close to home. Anyway, to get to the heart of Dragonchain, I talked with Principal Architect Joe Roets and Business Strategist George Sarhanis to get some details. To start, Dragonchain is essentially a blockchain of blockchains. It is abstracting almost everything about working with blockchains, so you can almost look at it in an OOP programming model. If you want to create a cryptocurrency in the Dragonchain commercial platform, you can instantiate one by using a currency library smart contract. You just select various parameters like mining or minting algorithm, token supply, how far a coin/token can be split, etc. The flexibility is fantastic. Next, you are free to use Python, Java, NodeJS and C# (GO is coming soon), unlike Ethereum which requires you use their custom Solidity language. Since the datastore is abstracted, you can use whatever data repository you wish, the reference implementation is PostgreSQL. Many blockchains use a NoSQL model. Most of the excitement in blockchain right now is over Initial Coin Offerings (ICO). This is basically an easy and unregulated way to sell cryptocurrency for a particular project. People buy the coins in the hopes that they will have a higher value later when the project is live. There is an insane amount of money going on in this space – hundreds of millions in just the last couple months. Most of the ICOs are being done with nothing more than a website and a white paper, and for an idea that the company can’t explain very well, but they are usually focused on general use systems to the public. For instance, some are looking at ways to deploy advertising across blockchain. Dragonchain can be thought of more like Ethereum in that it is a platform, not like bitcoin which is a currency. Dragonchain also intends an ICO token sale in late September, but in their case, they actually have working technology that is useful for anyone wanting to do blockchain applications. To understand why this kind of platform is important, you need to understand what inherently goes on with blockchain data. First, in most cases, the blocks that get mined are generated through complex computer calculations that chew up a tremendous amount of energy and is slow. Next, that transaction is replicated across every computer that is on the network. The upside to those two tasks is that you have resilient data that you are pretty comfortable is secure, but for many uses it is overkill. With Dragonchain’s hybrid model, you don’t need to rely on that energy usage, also known as Proof of Work (PoW). There is an alternative to PoW that is typically referred to as PoS (Proof of Service/Space/etc). 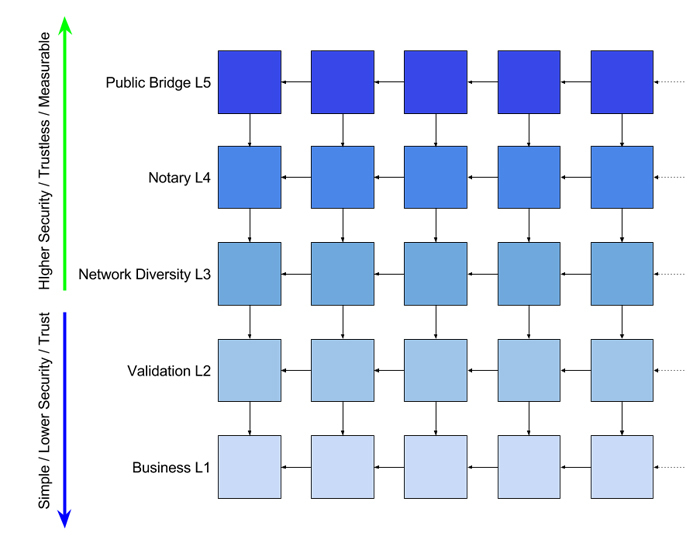 Dragonchain has the ability to provide a reputation-based notary alongside bitcoin and Ethereum trustless proof that something has happened; they call it a spectrum of trust which you can read more about in the Dragonchain Architecture document. A user or consumer of data can decide for their own system and purposes their acceptable risk for a transaction (or class of transactions). For some, having their own enterprise validation will be enough. For others, having an independent and separate 3rd party notarization will do it. For very high value or important transactions, it may be prudent to wait for a measurable level of security such as bitcoin can provide, where one can specify that, for example, a $2 million transaction must wait until it would take $200 million to attain a 0.05% chance to cheat the system. In our opening example I illustrated an election for a Homeowners Association, this could be deployed internally to a particular network where you have a high amount of trust and don’t need the information replicated everywhere, but in the case of a statewide general election, you’re going to want more guarantees and security. This flexibility to handle any of those situations is part of the power of the Dragonchain framework. The code available in the Dragonchain Github repository is functional, well-documented and includes the ability to transact on Dragonchain, query Dragonchain and process the blockchain. The organization is based in the USA, which gives me a higher confidence level than some I’ve seen that are in countries I’ve never heard of. There is going to be a token sale in either late September or early October for Dragonchain – this is that initial coin offering (ICO) we discussed. You can follow them on Twitter or Slack. I’m excited by this platform and the future for blockchain based product development. There is a lot of interesting plans at Dragonchain, like a commercial side and an incubator to help grow Dragonchain-based projects.